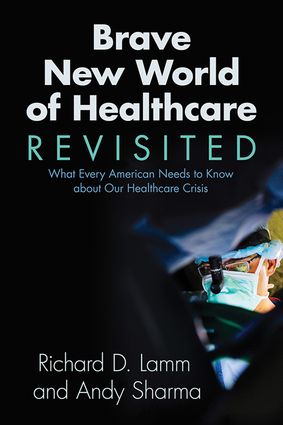 An informed and erudite look at the current state of the American healthcare system from former Governor Richard D. Lamm and political economist Andy Sharma, including: Will the retirement of the Baby Boomer generation bankrupt our healthcare services? What does the impending healthcare reform mean for the nation? Does the US still have the best healthcare system in the world? Richard D. Lamm is the co-director of the Institute for Public Policy Studies at the University of Denver and the former three-term governor of Colorado. A nationally recognized expert of healthcare issues, Lamm was chairman of the Pew Health Professions Commission and a public member of the Accreditation Council for Graduate Medical Education. Andy Sharma is a political economist who was the recipient of the University of North Carolina-Chapel Hill Future Faculty Fellowship and Weiss Urban Livability Fellowship, as well as the former recipient of the Carolina Population Center Fellowship with training grants from the National Institute of Aging and the National Institute for Child Health and Human Development.